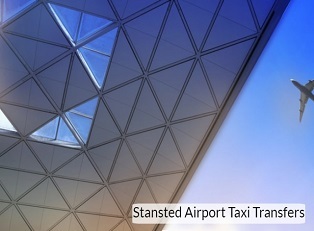 581 Travel are a Stansted Airport Taxi service with years of experience driving customers safely to and from their destinations. Whether for work or personal use, you can be confident of a professional and dedicated service when choosing our company. For all customers in the Stansted and surrounding areas, 581 Travel offer you our knowledge and expertise alongside our vast skills as a professional and courteous taxi service. When you book with us, you can be assured of fully qualified and capable drivers who make it their mission to get you where you need to be. Keeping a continuous check on flights, our drivers are there to meet and greet you as soon as you land, ensuring everything is taken care of. Our customers return to us each time for their Stansted Airport Taxi, and Stansted Airport Transfer needs for our ability to satisfy your taxi requirements 365 days of the year, 24/7. With an inspected and professionally cleaned vehicle as standard, we can accommodate one to 16 people on each trip, ensuring you travel the distance in style and comfort each time. Booking could not be any easier, with most customers choosing to use our Online booking form, for ease and quickness of use. Customers can also use our phone lines to make their bookings if they would prefer to do so. We guarantee that what you are quoted is what you will pay, with no hidden charges added, including any flight delays. If you need a Stansted Airport Taxi or Stansted Airport Transfer, make us your first choice for a luxury travel service at its best.